Hello, friends! Our book today is Circle by Mac Barnett and Jon Klassen, third in their wonderfully odd Shape trilogy. I absolutely adore Barnett and Klassen’s work together, which is a perfect blend of Barnett’s hilariously dry, deadpan humor and Klassen’s simple and minimalist, yet rich and visually distinctive design. And for the majority of Circle, they do not disappoint: I found myself giggling at the dialogue (especially as Circle and Triangle realize they are not alone) or how Klassen can deftly convey a character’s intent or emotion with a slight tweak of their eyes. However, where the pair often nail their endings (Sam And Dave Dig A Hole’s is masterful), this one felt a little incomplete. Just as Circle makes a poignant observation that she and Triangle were afraid and ran from the strange shape, despite not knowing anything about it, the next page is an interactive line encouraging the reader to imagine what the strange shape may have been, then the book ends. As a conclusion, it was a little unsatisfying, and while the pair aren’t afraid of an open ending (again, Sam And Dave – read it), this one just felt too abrupt. Still, the rest of the book is just as enjoyable and odd as ever, the length is great, and JJ got quite a few laughs out of it as well. So overall, we’ll call this one Baby Bookworm approved! Hello, friends! Our book today is Spring After Spring: How Rachel Carson Inspired The Environmental Movement by Stephanie Roth Sisson, a look at the revolutionary scientist and author. Every morning, Rachel awoke to a symphony of song. Birds, chipmunks, insects, and all manner of furry, finned, or winged creatures filled her world with calls, chirps, and caterwauls. Rachel loved to learn about them, reading books and exploring the environments near her home, making notes and observations on everything she saw. Heading off to school, she was sure she would be a writer… until she glimpsed the microscopic world hiding in a drop of water, and became fascinated with biology. After a career of success as a researcher and author, Rachel turned her attention to something big: the steady silencing of the naturesong she had cherished as a child. Uncovering one of the major contributors of this ecological shift, toxic pesticides, she published the book Silent Spring, a groundbreaking and controversial work that changed the minds of the country, and would go on to create an entirely new movement of environmentalism. There are very few works like Carson’s Silent Spring, which led to a major sea change in public opinion on environmental conservation and protection; for instance it – along with Carson’s testimony before Congress – led directly to the formation of the EPA. And Sisson’s work here does a wonderful job of showing both the early influences on Carson’s love of nature, her research, and the impact of her masterwork, as well as why the environmentalism movement was such a necessity in its time. There are a few areas that feel skimmed over (Carson’s struggles with being a woman in mid-century STEM, the lack of public interest in conservation before her book, etc. ), but there are also wonderfully rich details, such as the onomatopoeic birdsong and the bold flowchart that describes how chemicals can devastate an ecosystem (note: this does depict some deceased animals). Sisson’s illustrations convey the tone perfectly, and the length is good for even smaller bookworms. A lovely introduction to an often-overlooked figure, and it’s Baby Bookworm approved! Hello, friends! Our book today is You Can Be by Elise Gravel, a board book of feelings that encourages little ones to always be themselves. There are lots of ways to be a kid: you could be happy, or thoughtful, or quiet. Boys can be artsy or sensitive or caring and so can girls; girls can be strong or stinky or leaders, and so can boys. The most important things are to never be mean or rude, and to ALWAYS be yourself – it’s the very best way to be. Lovely. On the surface, this short board book is a visual look at different emotions or personality attributes, illustrating each in Gravel’s boldly-lined and energetic cartoon style. But the subtler (and much appreciated) message for baby bookworms is that it is okay to feel emotions, have interests, and express aspects of your personality, no matter one’s gender, skin color, or even just what others say. The art cleverly shows girls and boys as examples of aspects that they may not be readily associated with (such as a “sensitive” boy crying over a good book, or girl getting “dirty”, playing with trucks in the soil), and undercutting stereotypes such as “girls can’t be funny” or “boys can’t be caretakers”. And more broadly, it sends the message that it’s okay to feel things, even grumpy or angry or shy – your feelings are a part of you, and never wrong. It’s a great way of combining education with encouragement for the youngest reader, and we loved it. 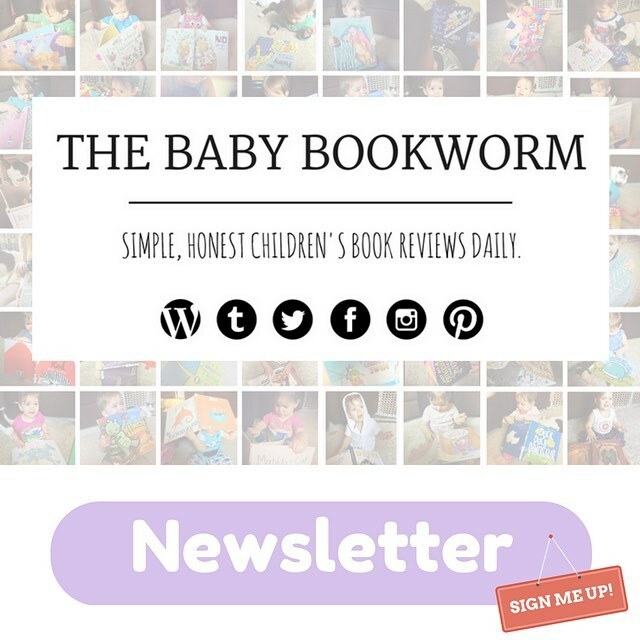 The length is great, and JJ and I had a ball with the adorable art – definitely Baby Bookworm approved! Hello, friends! Our book today is The Nature Girls by Aki, a delightful romp through some of nature’s biomes with an intrepid group of explorers. The troop of sixteen inquisitive young minds from last year’s The Weather Girls is back, this time to explore the different biomes that can be found on our planet. From the dense and lush rainforest, to dry desert plains, to snowy tundras, the group travels across each biome by boat, plane, dogsled and even a friendly camel. And when they’ve visited them all, they’ll keep on exploring – the world is big, and there’s still plenty to see while sharing good times with friends. Adorable! I hadn’t read the previous book in this series, but this made me want to pick it up right away; with sweet rhyming text and charming illustrations of a diverse group of young female friends showing curiosity, courage, and a sense of sisterhood, what’s not to love? The actual science of the biomes is not as in-depth as other books on the subject, as some are not even named in the text (though each gets a short paragraph of summary in the backmatter), and the spectrum of wildlife that lives in each is spotty biome-to-biome. However, as an introduction to Earth’s biomes, it gives a nice overview while encouraging the reader to go exploring themselves to learn more. The art is the best feature here, with lovely scenery and heartwarming scenes of the girls enjoying each other’s company, featuring adorable details in the lively (yet never too busy) group scenes. The length is perfect for any age, and JJ loved it. A joyful adventure for the little explorer in your life, and it’s Baby Bookworm approved! Hello, friends! Our book today is Bear Can’t Sleep, the ninth(!) story in Karma Wilson and Jane Chapman’s beloved Bear Books series. The winter snows have piled up high around Bear’s cave, and he is tucked under his warm quilt head-to-toe. A perfect setting for a perfect hibernation, but just one problem: Bear can’t sleep. He tosses and turns, stares at the wall, tries to relax, but nothing seems to help. Mouse pops in to check on his friend, and is shocked to find Bear awake! More of Bear’s familiar pals are drawn into the cave to help him relax – brewing mint tea, warm milk, lullabies, and so on – but he is only growing more grumpy and bored of trying to drift off. At last, he channels his frustration to a fun activity: telling his gathered friends a new story to pass the time. But as the story nears its end, his audience hears a small snore and smiles, tiptoeing out as the bear snores on. As always, just delightful. Sweetly calling back to Bear Snores On – the first of the series and basically this book’s opposite in terms of plot – the massive, cuddly-looking Bear and all his woodland friends are back. Fans of the series will recognize the familiar rhythm of the text, which has a wonderfully soothing flow and is a pleasure to read aloud. The illustrations, using semi-realistic animals and Bear’s familiar cozy cave as setting, are simply adorable. The length is great, and this would make a marvelous bedtime book, especially as a companion to Bear Snores On. JJ also adores these books, both for the easily-imitated rhythm and the rich, warm artwork. A great addition to a stellar series, and Baby Bookworm approved!